The origin of the art form dates to the cubist constructions of Pablo Picasso c. 1912–1914. The origin of the word (in its artistic sense) can be traced back to the early 1950s, when Jean Dubuffet created a series of collages of butterfly wings, which he titled assemblages d'empreintes. 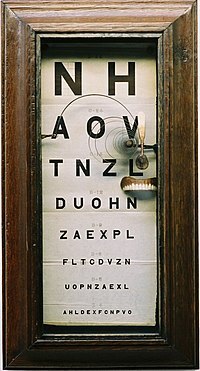 However, Marcel Duchamp, Pablo Picasso and others had been working with found objects for many years prior to Dubuffet. Russian artist Vladimir Tatlin created his "counter-reliefs" in the mid 1910s. Alongside Tatlin, the earliest woman artist to try her hand at assemblage was Elsa von Freytag-Loringhoven, the Dada Baroness. In Paris in the 1920s Alexander Calder, Jose De Creeft, Picasso and others began making fully 3-dimensional works from metal scraps, found metal objects and wire. In the U.S., one of the earliest and most prolific assemblage artists was Louise Nevelson, who began creating her sculptures from found pieces of wood in the late 1930s. Ondrej Mares (1949–2008), a Czech-Australian artist and sculptor best known for his 'Kachina' figures – a series of works. Louise Nevelson (1899–1988), an American artist, known for her abstract expressionist "boxes" grouped together to form a new creation. She used found objects or everyday discarded things in her "assemblages" or assemblies, one of which was three stories high. ^ Walker, John. (1992) "Assemblage Art". Glossary of Art, Architecture & Design since 1945, 3rd. ed. Retrieved February 7, 2012. ^ Tate. "Assemblage – Art Term". Tate. Retrieved 2019-03-21. ^ "The Art of Assemblage" (PDF). Museum of Modern Art. Retrieved 2018-05-27. ^ Deborah Solomon, Utopia Parkway: The Life and Work of Joseph Cornell, New York: Farrar, Straus & Giroux (1997). ^ Kienholz: 11 + 11 Tableaux, Moderna Museet, Stockholm, Sweden, n.d.
^ Půtová, Barbora (2018). Chapters "Meeting Place – Introduction", "Lubo Kristek: The Sun King in the Theatre of His Own World" and "Requiem for Mobile Telephones". Kristek Thaya Glyptotheque. Research Institute of Communication in Art. ISBN 978-80-905548-3-2. Retrieved February 7, 2018. ^ Biographical Note, The Louise Nevelson Papers, Archives of American Art, Smithsonian Institution. ^ Wieland Schmied and Daniel Spoerri, Daniel Spoerri: Coincidence as Master = Le Hasard comme maître = Der Zufall als Meister = Il caso come maestro, Bielefeld, Germany, 2003 at p. 10. ^ Crawford, Ashley. "Hoax most perfect," Melbourne Age, October 11, 2003.